GoEuro now in private beta GoEuro now in private beta. A report over at BetaKit tells of Berlin-based GoEuro having closed a $4 million dollar funding round to enhance the travel comparison engine. The platform, which allows travelers to search and compare air, bus, train, and car travel throughout Europe, is now building partnerships with service providers for their imminent beta launch. According to the news this funding round was led by Battery Ventures and Hasso Plattner Ventures (HPV), along with other private investors. 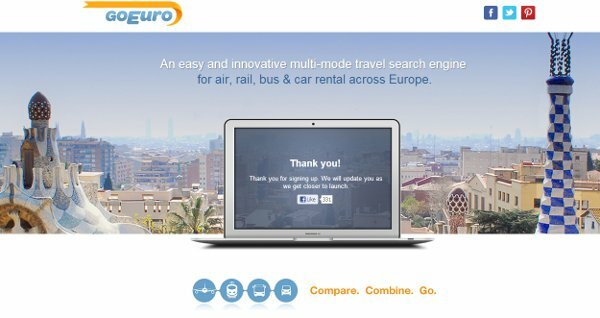 Not unlike competitor Wanderu, GoEuro allows travelers to book transport directly via their platform. There’s no doubt the need for such a service will drive the right startup in the space to success, Europe is a very special case where the modes of transport suggested are concerned. Here in Germany, even though we are centrally located close to everything, deciding which is the best and fastest mode is often cumbersome. Four hours from Paris by car, or train, I am thinking of how multi-mode trips might be carried out. As suggested by BetaKit’s news, the key for GoEuro will be the business development, that is once the complex scheduling and booking back end is made. 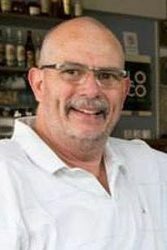 The startup already has a decent social media element in place, if not so active and a bit upside down on the Twitter front. They’ve even pinned some boards on Pinterest in preparation for what will have to be a fairly massive social media campaigning phase. 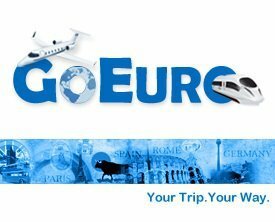 For more information on the travel strartup the interested reader should vie the BetaKit story, or read the original press release from GoEuro. We signed up to test the private beta and if the cosmos is with us we’ll review the service properly for you. Until then, the funding and the concept point to potential.